Shrink sleeve packaging is everywhere today. You’ll find them on energy drinks, cleaning products, fruit juices, pharmaceuticals, cosmetics and almost every other category at the supermarket. Marketers understand the power of great packaging and have embraced this technology. Shrink sleeves continue to grow in popularity because of their versatility and branding options. They conform to any shape, provide 360-degree coverage, and work with many container types including metal, glass and almost all plastics. For converters, the right shrink sleeve machine can significantly expand your production capabilities by capitalizing on your current equipment. If you’re producing prime labels, there’s a good chance you have customers using shrink sleeves. Plus, with new presses and equipment out on the market, you’ve probably made a good chunk of the investment already. Let’s talk about how shrink sleeve conversion works and what you need to get started. First, you’ll need to choose the right film material based on the container type. Polyvinyl chloride (PVC) and Polyethylene Terephthalate Glycol-modified (PETG) are the most common choices, but you can also use OPS, PLA, or Hybrid. There are pros and cons to each type. PVC is the easiest to control, generally the most cost-effective, and offers good scuff resistance. The unit cost is less overall and it works better on some applications than PETG. There are two types of PVC – high shrink PVC and standard PVC. PETG offers the best scuff resistance, has the highest percentage of shrinkability, and is easily recyclable. It’s also more stable and readily available. According to Label & Narrow Web, PETG is currently leading the way as the most preferred material for shrink sleeve labeling. Flexography, gravure, offset or digital printing processes all work for printing shrink sleeves. You can use solvent, water-based, UV or digital inks. 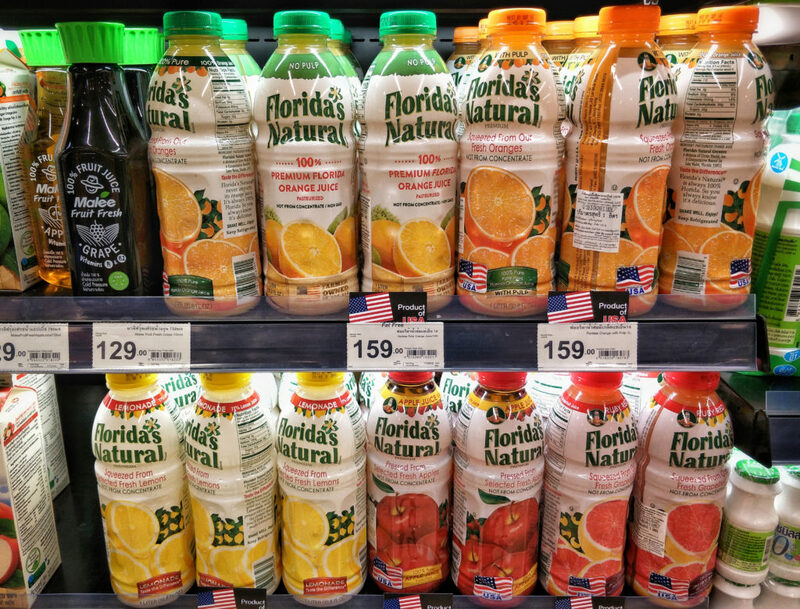 Flexography is expected to be the most preferred printing technology among sleeve label manufacturers. Among all the variants of printing ink, solvent-based ink is most widely used for labeling. It’s compatible with most printing technology. To deal with the distortion that occurs during the heating process, designers must plan for the final product and how it will fit the shape of various objects. There are several prepress software options specifically for this purpose. Typically, the label is reverse printed so the image will be on the inside. This protects it from scuffs and scratches during handling and storage. Depending on how the sleeve is being applied to the container, a varnish may also be applied over the printing to prevent scratching and to make sure the sleeves run smoothly on the application equipment. A word of caution — shrink film material is slippery and thin, making it difficult for the ink to adhere and dry. You cannot use heat to dry the ink. Printers need a press that can eliminate heat either by using a chill drum at the drying stations or LED curing. Once printed, the seaming machine applies a solvent to one edge of the roll. The seam is where the edges of the shrink material are glued together to make sleeves. Seam location will vary depending on variables like container shape and style, automatic or hand application and artwork design. You should place the seam where it has the least impact on graphics, like the back or side of the product. From digital applications to non-stop systems, Karlville fabricates the most complete line of seaming machinery in the industry. Karlville offers the K1, an entry-level system for the digital market and small converters with limited production requirements. From there, we go to the K2, K2 RTC, and K3, our high-speed roll-to-roll solutions, geared for the medium level converter. Last, we offer the K4 and K5 Compact, and K5 Jumbo solutions, with non-stop turrets for customers to produce larger volumes with the highest level of efficiency. All solvent features are controlled via the man-machine interface (MMI). For film edge position accuracy, unwinds have digital edge guides. The solvent applications also have an optional micro edge guide for the most accurate solvent-to-edge control in the industry. Films are always straight through the machine – never forced side to side for oscillation. Even with turrets, the complete turret moves back and forth on heavy duty linear bearings. After seaming, you can use an inspection machine to analyze the sleeving construction and search for imperfections. If you’re looking to reduce waste, increase yields and limit customer returns, you can improve the process by detecting defective material and doctoring the issue before the final processes. Karlville offers three shrink sleeve inspection machines. They all operate in forward and backward directions with memory functions to return the roll to defect position. All models come standard with ACCUWEB Electronic Power Control (EPC) systems on the Rewind, oscillation on Rewind tied to the EPC, automatic tension control via load cells on Unwind & Rewind, and additional taper tension control module via the programmable logic controller (PLC). Strobe and continuous perforations are optional accessories. If you have an automatic applicator machine, cutting the sleeves isn’t necessary. However, a cutting machine can cut the rolls into individual pieces. 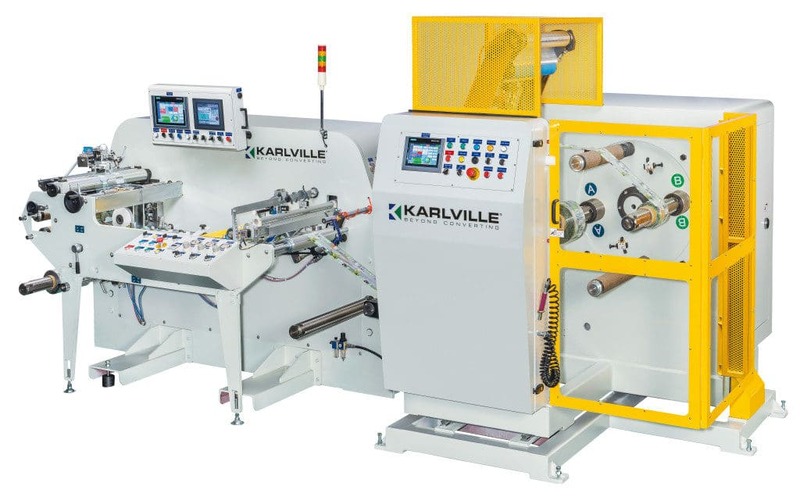 Karlville’s C1 series is the ideal shrink sleeve cutting machine for converters, so you can offer your customers the option of manual application. The CUT Series uses a pillar type cutting block for high-speed cutting of 350–450 pieces per minute. The PLC control system is standard and the servo film transport motor produces cut sleeves with an accuracy of +/-0.1mm. For PETG flat edge slitting, we use pneumatic knives powered by AC Vector motor to guarantee no beveled edges. Beveled edges cause quality control issues with open and stuck seams. By choosing the right film, ink, printing process, seaming solvents and shrink sleeve machine, converters can successfully move into this rapidly expanding market. In our next blog, we’ll discuss the rest of the shrink sleeve process and related equipment — the applicator and shrink tunnel. If you have any questions about the converting machines described here, please contact us for a consultation.